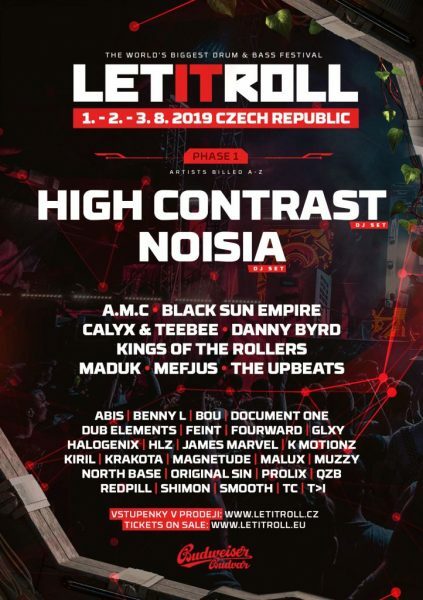 Home » Let It Roll festival reveals dates and first phase line up for 2019! Noisia, High Contrast, A.M.C, Black Sun Empire, Calyx & TeeBee, Danny Byrd, Kings Of The Rollers, Maduk, Mefjus, The Upbeats, Abis, Benny L, Bou, Document One, Dub Elements, Feint, Fourward, GLXY, Halogenix, James Marvel, K Motionz, Kiril, Krakota, Magnetude, Malux, Muzzy, North Base, Original Sin, Prolix, QZB, Redpill, Shimon, Smooth, TC and T>1. These are just the first of over 300 DJ’s to be announced for the one-of-a-kind event. Many more will be added over the coming months. 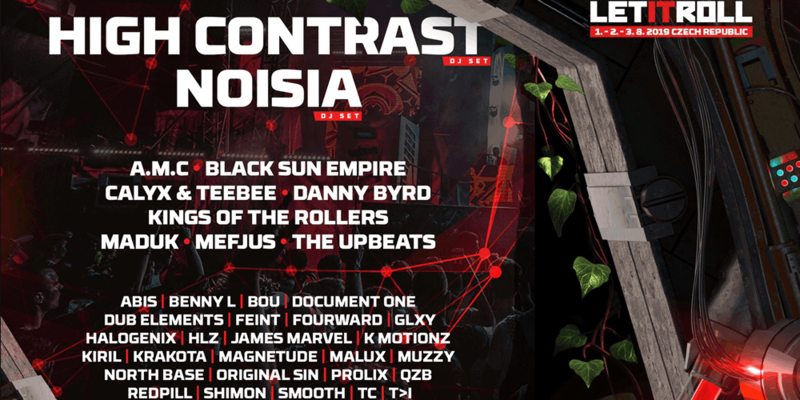 Between August 1 and August 4 almost 30,000 drum and bass fans from across the globe will descend to a currently undisclosed location near Prague for another three-day session of drum and bass unity under the shadows of robots, spaceships and all mutant space waste in between. The annual summer festival has developed ‘must-visit’ status among all card-carrying junglists and drum and bass heads. Let It Roll is characterised by insane production builds where stages become portals into entirely different universal realms. Mad Max style buses crammed with crazed ravers can be seen cruising around the site and the opening show is a dramatic A/V experience scored and composed by some of the biggest acts in the genre. It’s not just the production that makes it stand out, either. It’s the spirit, soul and discerning line-up selection. 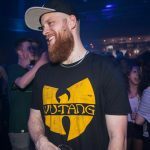 Working with some of the most innovative imprints and brands in the game to host and curate line-ups that reflect every aspect of the unique and fast-paced genre. 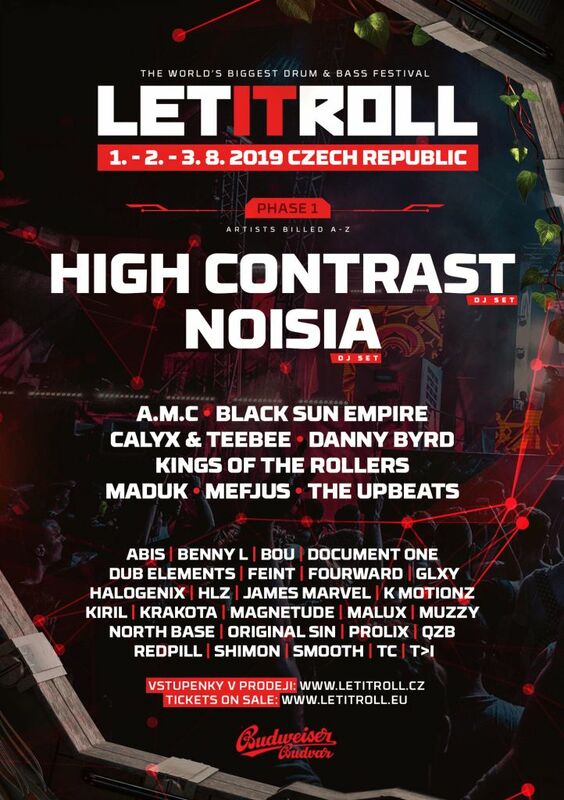 A drum and bass festival for serious drum and bass fans, Let It Roll is a place where next-generation artists and acts from more underground and specialist corners of the genre are given what they deserve: high profile set times on big stages to crowds who truly appreciate them. The rowdiest of jump-up to the deepest rolling soul steppers, the most exciting, game-changing newcomers to the most influential ground-breaking pioneers, the mainstream murkers to the underground beserkers.